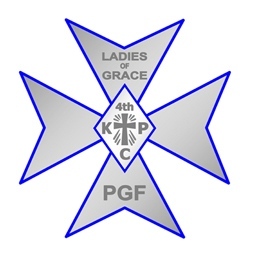 The Meritorious Fourth Degree is the highest degree of the knights of Peter Claver, Inc. members of the Fourth Degree Knights are addressed as “Sir Knight” and members of the Fourth Degree Ladies are addressed as “Gracious Lady.” At the present time, there are approximately 1,025 Sir Knights and 1,800 Gracious Ladies throughout the Order. The need for a meritorious degree was first considered in 1917, and the Fourth Degree Knights were established in 1926. The Fourth Degree Ladies of Grace were authorized in 1979, and the first Ladies of Grace Chapters were established in February, 1981. Today, there are 49 Assemblies and 50 Chapters throughout the United States. Fourth Degree Assemblies and Chapters are different from Councils and Courts, and are led by a separate set of elected officers. 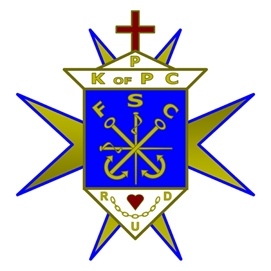 The Supreme General Assembly and Supreme General Chapter each select a Supreme Navigator and nine (9) Supreme Officers to govern the Fourth Degree Knights and Ladies of Grace. The local units are comprised of Fourth Degree Grand Assemblies and Fourth Degree Ladies of Grace Grand Chapters. Each Assembly and Chapter is led by Navigator. Other elected Assembly and Chapter officers include the Captain, Comptroller, Purser, Scribe, Steward, Pilot and Sentinels. Assembly and Chapter officers are properly addressed by using the title “faithful” (e.g., Faithful Navigator). Unlike Councils and Courts, there is only one (1) Assembly and Chapter for any given metropolitan area. Each Assembly and Chapter is numbered by the order in which they chartered into the order, and are named by the local membership. Only Fourth Degree Knights may purchase the full regalia and join the Assembly’s Honor Guard. The Honor Guard is the most visible arm of the Knights, as they are often seen parades and other events wearing their colorful regalia. Official dress for the Honor Guard wears a black tuxedo, plain white shirt, Black bow tie, baldric, chapeau, cape, sword and white gloves. In the Meritorious Fourth Degree Division, there has been seventeen Supreme Navigators: Gilbert Faustina, 1926 to 1940; Oscar Figaro, 1940 to 1943; Edward E. Cross, Sr., 1943 to November, 1943; Peter Chenier, November, 1943 to August 1946; Earnest E. Delpit, 1946 to 1950; Thomas R. Lee, Jr., 1950 to 1958; Felton Lawrence, 1958 to 1970; Reginald Rouzan, 1970 to 1982; James M. Seals, Jr., 1982 to1988; Dr. Charles D. Proctor, 1988 to 1990; Sylvester Davis, 1990 to 1995; Dwight Alexander, 1995 to 2002, Harry Beevers, 2002 to 2008; James A. Neal, 2008 to 2014; Daniel Santos, 2014 to 2016; Lawrence Sylvester, 2016 to 2018; Stephen J. Randall, 2018 to the present. Among the many charitable works of the Meritorious Fourth Degree Knights of Peter Claver is the Advance Leadership Committee (A.L.C. ), to publicize the works of the Meritorious Fourth Degree. In the Meritorious Fourth Degree, Ladies of Grace Division, there have been nine Supreme Navigators; Mrs. Mattie Lampkins, 1981 to 1982; Mrs. Rose A. Labostrie, 1982 to 1986; Mrs. Henrietta R. Porter, 1986 to 1992; Ms. Irene T. Green, 1992 to 1998; Mrs., Juanita Burden, 1998 to 2002; Mrs. Geralyn C. Shelvin, 2002 to 2006; Ms. Michelle C. Jackson, 2006 to 2008; Mrs. Audrey Woods, 2008 to 2014; and Mrs. Marion Smith Reynoso, 2014 to the present. Among the many charitable works of the Meritorious Fourth Degree and Ladies of Grace Division are “Educate the Religious” and “Partners in Education” projects adopted by the Ladies of Grace Division.